Are you the Oneplus 3T user then here is a good new for you. 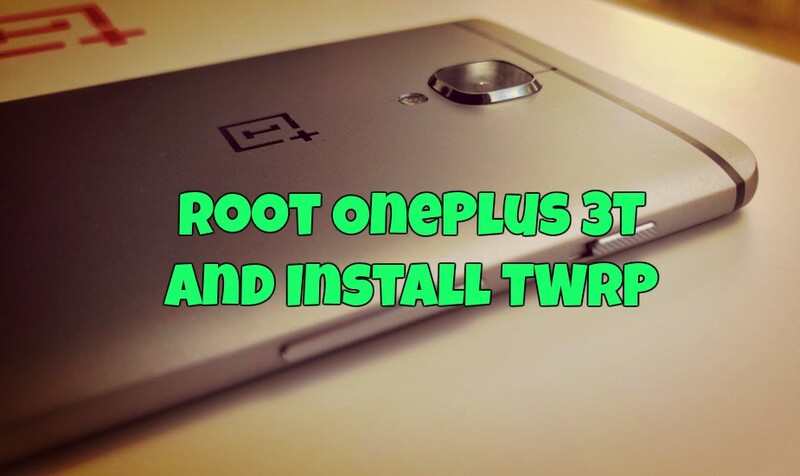 Now you can easily Root OnePlus 3T and Install TWRP. All you have to unlock the bootloader of your Oneplus 3T first, after that you can get the root access on your phone with the help of TWRP recovery. The process is very simple and on;y take ten to fifteen minutes to complete the whole task. Here you will learn how to install the TWRP custom recovery on the Oneplus 3T and Root the OnePlus 3T. All credit goes to the XDA developer jcadduono who provide the unofficial TWRP for OnePlus 3T. So here is the step by step guide to Root and Install TWRP Recovery on OnePlus 3T. Read all the steps very carefully and follow all the steps open by one on your phone. Once the phone is rooted, you can easily install the Custom ROMs and custom Kernerl to improve the performance of the phone. Install the Rooted apps and Xposed framework on your phone. Block unwanted ads on the applications. Tak the Full system backup (Nandroid backup) of your phone. Remove unwanted system application once the devices is rooted. Setup ADB and fastboot drivers here on your windows PC. 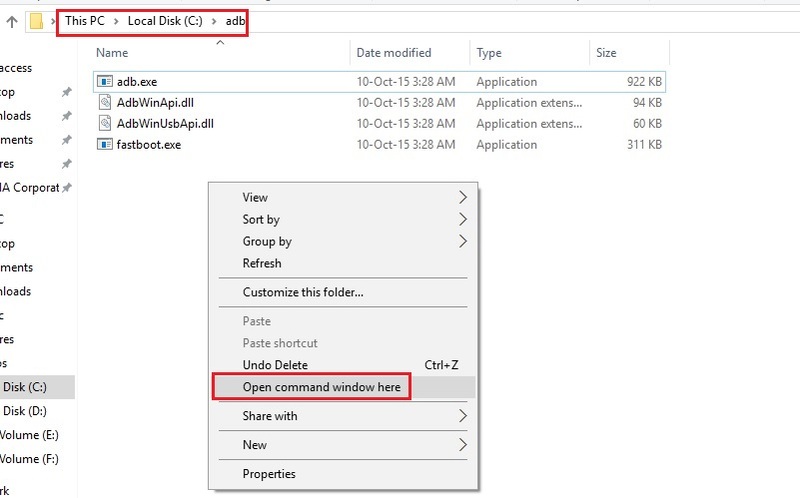 Now you will see the ADB folder on your Windows C Drive (C:/ADB). Download TWRP for Oneplus 3T here to install the TWRP custom Recovery. Download SuperSu to root Oneplus 3T and copy it to your phone sd card. 1. First Unlock the Bootloader of your phone. If you already did that then follow the next step. 2. First, you have to enable USB debugging mode and OEM Unlock on your phone. To enable Developer Options, go to About phone and tap the Build Number 7 times. And enable USB debugging and OEM unlock. 4. Copy the TWRP recovery file (twrp-1.1.1.2-oneplus3t.img) on the ADB folder that you create above. Rename the twrp-3.0.2-0-oneplus3t.img file to TWRP.img. 5. Now connect your phone to the PC with USB cable and enter the following command in the command prompt to boot your phone into fastboot mode. 7. Now type below command to boot into recovery. Now the TWRP custom Recovery is successfully installed on your Oneplus 3T and your phone is on the TWRP mode. 1. Now your phone will boot into the TWRP mode. From the main page of the recovery select your preferred Language and set it to what you want, tap “Never show this screen on boot again,” and Swipe allow modification. 2. Now transfer the no-verity-opt-encrypt zip file to your device over MTP and flash it. GO to install and Locate the no-verity-opt-encrypt zip and flash the same. 3. Go to “Wipe” section and tap “Format Data,” and type “yes” (If you want to mount internal storage). 4. Now again go back to the main menu and Select install and select ‘SuperSu.zip’ to root OnePlus 3T. 5. Once the Super SU zip file is flashed on your phone. Reboot System. Now your Oneplus 3T is rooted and TWRP Custom recovery is successfully installed. If you have any questions, then comment below. Didn’t work for me, now it shows a message about the dm-verity.